Offering customers a refined take on the ever-popular ‘rough luxe’ interior design style, whilst still retaining all of the range’s signature functionality. 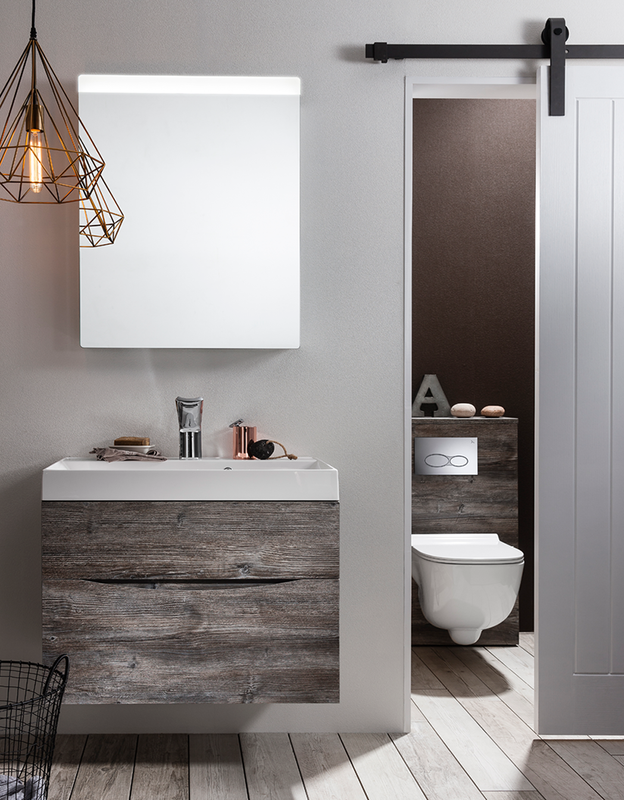 The perfect way to bring the outdoors in to home, pair the Driftwood finish with timeless white bathroom fittings to achieve a minimalist Scandinavian space, or for a more dramatic style, look to a darker colour palette. 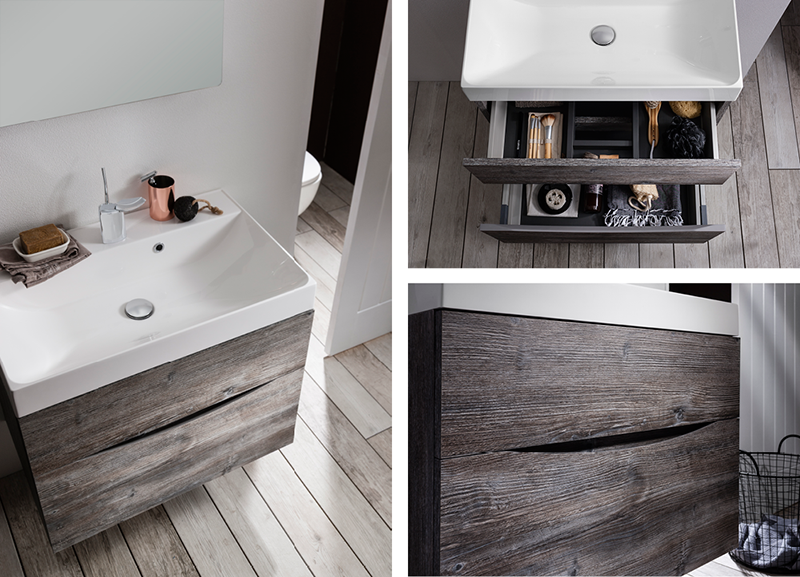 Expertly crafted from superior quality and durable materials, the Driftwood finish also offers a deep grained hard-wearing surface, ideal for withstanding the hustle and bustle of day-to-day living. Reflecting time honoured cabinet making skills, the entire Glide ll range epitomises fantastic value, no matter the finish you choose. 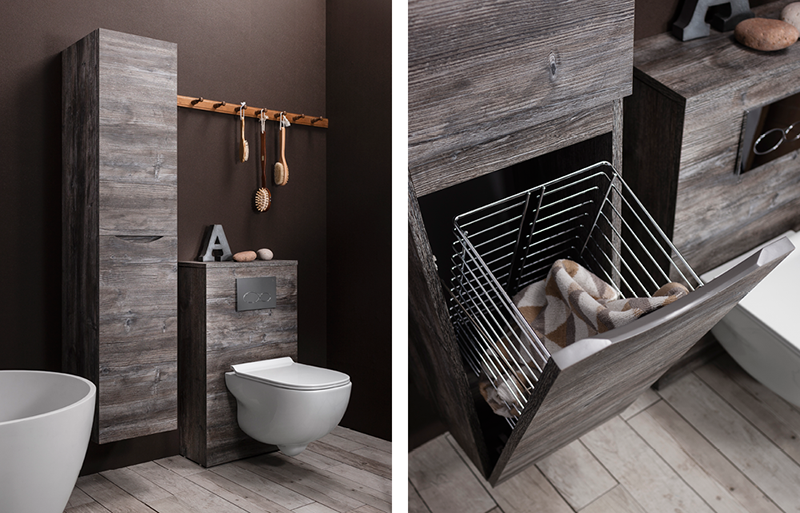 Designed to cover a variety of individual preferences, select from the collection’s three alternative finishes in Wenge, American Walnut or White Gloss for crisp and contemporary bathroom design. View the full collection here to recreate the look in your home!